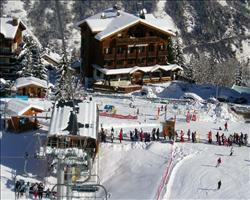 Free local bus to the resort centre and the different levels of Courchevel. These apartments offer great value accommodation and skiing to the doorstep. From the apartments it is a quick ski down a red slope to the Tovets chairlift or a traverse to the centre of the village which is an 8 minute walk by road. Build in traditional style of wood and stone, it is a great choice for families or groups of friends who want quick access to the extensive Three Valleys area. Fully equipped kitchenette with hob, microwave, fridge and dishwasher, TV (pay locally) and balcony. 2-room Apartment (A6) 30m²- sleeps 2-6 Living room with one double sofa bed, bunk beds in the corridor and a twin bedroom. Local Expenses Refundable deposit €300 (credit card accepted). Resort Taxes & Towels. We update Les Brigues Apartments's details often, but facilities do change. e.g. some extras listed by the supplier as "free" or included might only be for the first time you use them, or for one time per party, then charged for further use. If any specific feature is essential to your holiday, make sure you ask us to confirm the details of it before you book your holiday. 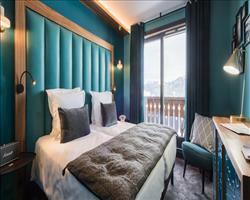 This package holiday to Les Brigues Apartments in Courchevel, France departs Saturday 4th January 2020, for a 7 night stay on a "self catering" board basis. A local tourist tax (Taxe de Sejour or Kurtaxe) is levied by many councils in European ski resorts. It varies by standard and type of accommodation and is age dependent, so not everyone is charged. It's not included in the basic price of your holiday and is usually paid locally. For reference, the average charged in winter 15/16 was between 50p and £2 per person, per night. Courchevel lift pass price last reported as €218 (adult 6 day). Ask for a quote when booking Les Brigues Apartments. 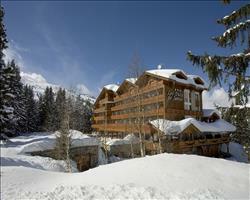 Hotel Les Flocons Courchevel France, Dover Ferry 4th January. 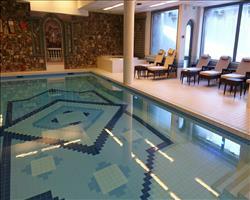 Hotel Olympic Courchevel France, Dover Ferry 4th January. 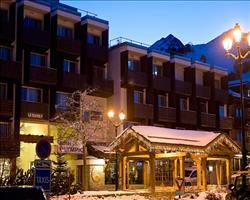 Hotel Ducs de Sav... Courchevel France, Dover Ferry 4th January. Fahrenheit Seven ... Courchevel France, Dover Ferry 4th January. Hotel Carlina (1850) Courchevel France, Dover Ferry 4th January. "Bit small but good stay overall"
Accommodation was basic but affordable, there were 3 of us in a 4-6 man apartment and it was quite cosy! The apartments are quite far away from the ski area, which took about a 20 minute – half an hour walk to get to. The snowboarding was really good, we were here in the middle of December and had bright sunshine at the beginning of the week and a bit of a white out at the end. Bit of confusion over paying the travel tax, we paid on the coach there but the people in the resort tried to charge us again, the reps were brilliant though – think our reps name was Sarah – and sorted everything out. We’d definitely go to the 3 Valleys again but might spend a bit more on the accommodation or look at staying in a different part of the resort so we’re nearer the lifts.